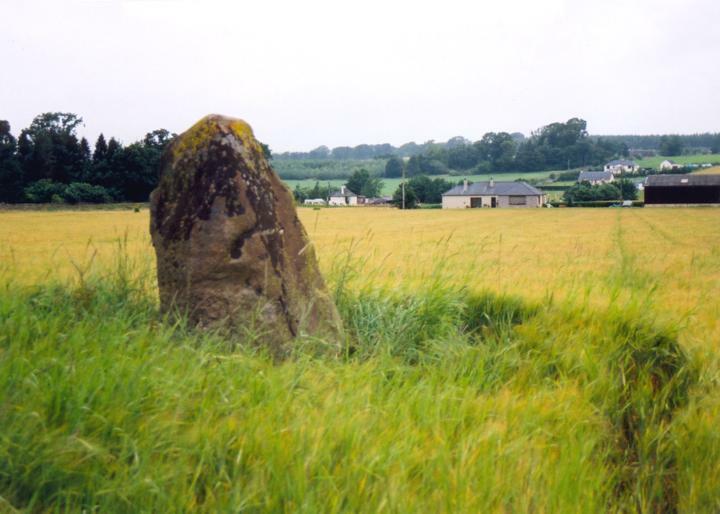 This standing stone is 1.90m high by 1.00m wide and 0.80m thick. It is associated with a legend that it was the burial place of Doncha, Abbot of Dunkeld, who was killed in AD. 964 at the Battle of Duncrub. Dunning is in the parish of Dunning and the county of Perthshire. Published on the 14th of May 2010 at 4:19 pm. Updated on the 31st of March 2011 at 7:11 am.